I’ll be showing two works as part of an exhibition with The Arborealists at Musee Collégiale Sainte-Croix de Loudun, France 9 March- 28 April. I will also be showing other work with the group throughout the year in Salisbury, Somerset and finally at the National Memorial Arboretum in December. I’ve been fortunate to co-curate this exhibition with Tim Craven, founder of The Arborealists and am happy to announce some associated events including an artist Q and A on 5 August and a talk by Julian Hight, author of Britain’s Tree Story and World Tree Story on 16 August. See the Black Swan Arts website for more details. I also have some work in the show. ‘A major new exhibition of trees in contemporary art at Black Swan Arts in Frome will feature work by thirty-six Arborealists, some of international reputation, and six guest artists, as well as the painter Paul Nash. The Arborealists were founded by artist and curator Tim Craven in 2013. Following the exhibition ‘Under the Greenwood: Picturing the British Tree’. The exhibition was staged at St Barbe Museum & Art Gallery, Lymington, in the heart of the New Forest. The Arborealists are a loose association of some 60 artists of diverse art practice who share the subject of the tree. The group is far flung with members from Wales and the borders to East Anglia and London and every southern county from Kent to Cornwall. 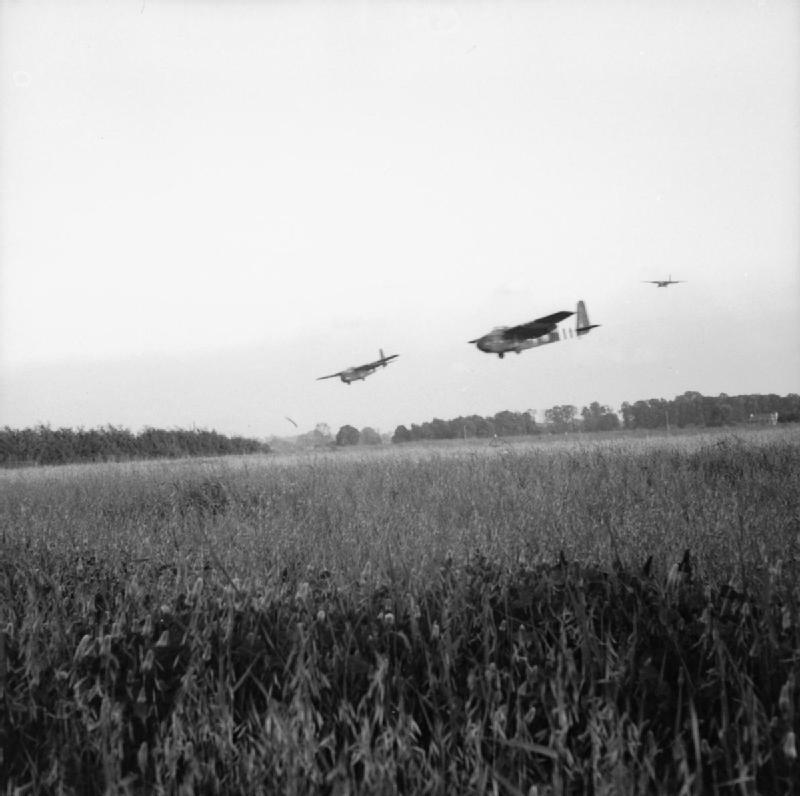 Outposts include Yorkshire, France, Italy and Ireland. I’m delighted to be showing with DenmanandGould at their beautiful chapel studio at Haydon, North West Dorset, DT9 5JB, Venue 28 for Dorset Art Weeks. We’re currently busy planning for the exhibition. There will be two Other Side events in conjunction with Evolver Magazine and Sherborne Times, including a screening of the Ai Wei Wei film ‘Human Flow’ on Sat 9 June and an In Conversation with Russell Denman, Elle Goulding and myself to celebrate the opening of our exhibition on Sat 26 May. Grab a DAW guide for more details. The Transformed Land will also show for a third time, at ACE Arts in Somerton 26 May- 16 June; it’s been a busy time working coordinating the curation of both shows. I’m looking forward to having the opportunity to discuss the themes and ideas that run through the process and practice of the invited artists. There will be a Private View from 6pm on Fri 25 May as well as an artist Q and A from 6pm on Fri 8 June. Two pieces, ‘In the Margins’ and ‘Cloud Study: towards Ridge Hill’ have been selected for ‘A Wessex Scene‘ at Messums Wiltshire. “A Wessex Scene is a celebration of the location that we are situated in, both immediately and further afield. “Wish List will bring joy and ignite that festive spirit to all who visit. The exhibition features 20th Century/Contemporary art, alongside hand-picked and unique ceramics and vintage jewellery. Daisy Cook, Pennie Elfick, Mark Entwisle, Duncan Grant, Paula Hall, Joanna Hulin, John Maddison, Charlotte Moore, Paul Newman, Jack Pender, Daniel Sequeira, Geoffrey Tibble and Sharn Whitehead amongst others. Preview event: Saturday 25th November, 6- 8pm. In November and December I’ll be showing in good company with 22 other artists as part of ‘Mixing Signals’ at Kobi & Teal in Frome, Somerset. 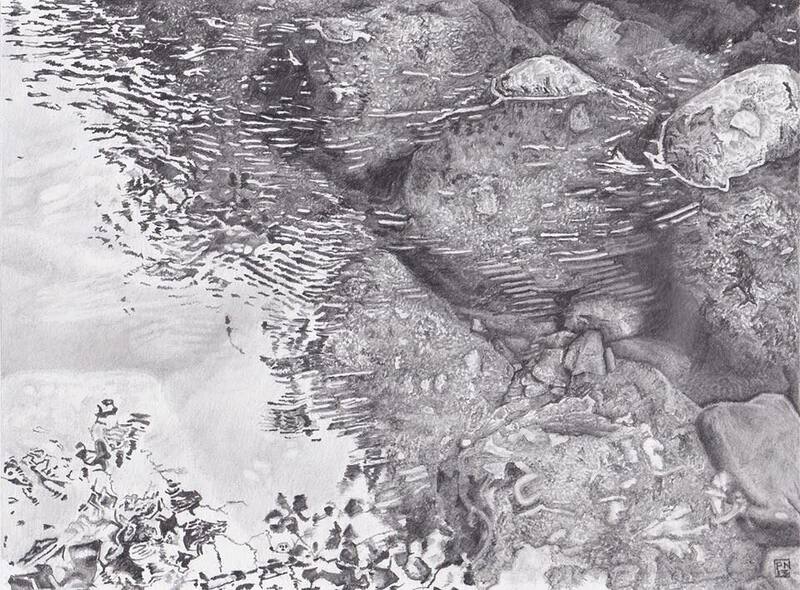 I’m very pleased that ‘A Confluence of Waters’ has been selected as part of a beautifully-curated show in their gallery at the top of Catherine Hill. They also have a great selection of interior products, objects and artworks from independent designers, makers and artists. I’m pleased to announce that I have been invited to show at Cotley Tithe Barn, near Chard as part of this year’s Somerset Art Weeks Festival. I’ll be showing with thirteen other artists, responding to the Barn and it’s environs, at Venue 92– Alice Crane, Tim Martin and Guests. In July I will have work featured in FIFTY BEES: The Interconnectedness of All Things, at ACEArts in Somerset. Curated by Somerset-based fibre artist Lydia Needle, Lydia has crafted fifty ‘bee pieces’ in wool. Fifty artists and makers responded to the biodiversity of each bee- mine was Andrena ferox (Oak Mining Bee). Lydia has done a great job to not only produce fifty stunning miniature pieces of work but to also keep all the contributors on track too- with the help of her beekeepers. In June I will feature in three exhibitions over the same weekend in Bath. First in Fringe Arts Bath as part of ‘Alternative Realities’ at Gallery 48– then as part of the ongoing exhibition of The Transformed Land at The Circle (part of the Art at the Heart art in hospitals scheme) Art at the Heart- The Circle Finally, I have also been selected for the fifth time for the Bath Society of Artists Annual Open. In March I will be taking part in a group exhibition which I have been asked to curate by The Brewhouse in Taunton, Somerset. Called ‘The Transformed Land‘, invited artists present work which will discuss place; how we change it and how it shapes us. David Daniels, Russell Denman, Andrew George, Eleanor Goulding, Andrew Lansley, Jason Miller, Paul Newman, Linn O’Carroll, Howard Phipps, Jennifer Newbury, David Smith, Clive Walley, Deborah Westmancoat. Each artist has been asked to provide a statement which illustrates their response to the places they work with and what it means to them and there will be an introductory text by Jenny Newbury which explores some of the themes behind the show. The exhibition takes place from 6 March- 29 April with the preview on Friday 10 March from 5-7pm. As we head towards the year end, I’m working on some projects for next year and am looking forward to curating Quartz Festival in December. The dates for the Visual Arts Festival have been moved to Friday 16- Thursday 22 December, with the preview on Thursday 15th December from 6pm. I am grateful to Sara Dudman RWA for entrusting me with the curation and to Queens College for the opportunity to work on the Festival. This year’s Visual Arts display will feature over 40 of the best practicing artists in the South West (and beyond) displaying a mixture of Printmaking, Painting, Sculpture, Jewellery, Ceramic, Textile and Woodwork all in the Performing Arts Centre. It provides a perfect opportunity to find a gift for a loved one and with a great range of work on display, there will be something for everyone to enjoy, as well as be inspired, intrigued and amazed. 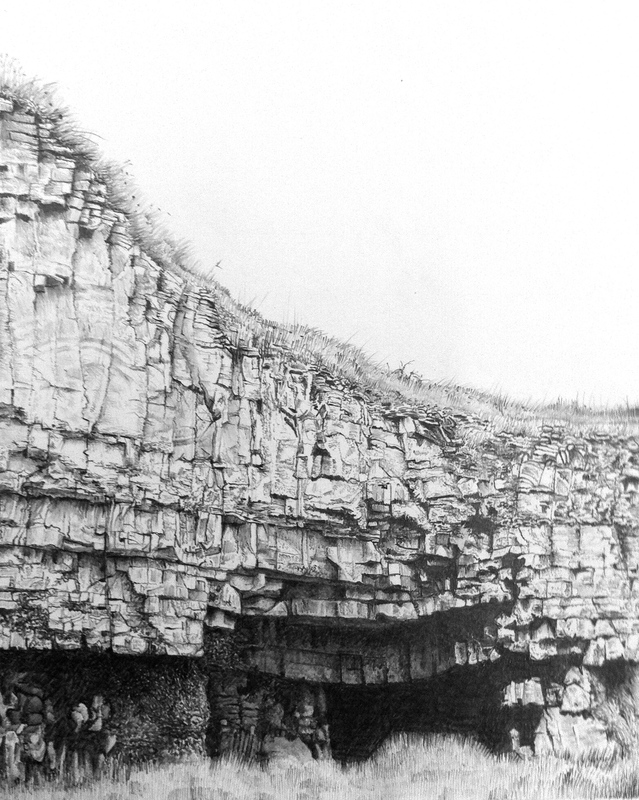 I will also be taking part in ’30 Years | 30 Artists’ at Black Swan Arts in Frome. The Black Swan Guild is celebrating its 30th Anniversary this year and has hosted a range of exhibitions and events to celebrate this. Given current funding cuts, this is a huge achievement and the arts sector in this area seems to be using its inherent creativity and resilience to find solutions to this problem. ’30 Years | 30 Artists’ is a celebration of artists and makers past and present who have all launched their careers (or been involved with) Black Swan Arts and a reflection of the support provided to the creative community by this hub for the arts. The exhibition will run from Friday 25th November until Saturday 24th December, with the preview on Thursday 24th November. Again, it is the perfect opportunity to find something lovingly made and personal for Christmas and there will be a great choice of Glass, Ceramic, Print, Textile and two-dimensional work along with a few surprises! I had a successful Somerset Open Studios with many visitors to my Pop up studio at The Gallery in Castle Cary, over the 16 days. A huge thank you to Sam Laycock and Sally Burgess for hosting and to everyone else for their help in the run up and making it such an enjoyable time. Also, thank you to visitors who commented, bought and took time to chat; it was very encouraging and it is always a privilege to be able to talk about inspirations and motivations and to hear other peoples’ stories and ideas. The preview evening was great fun and well attended, with the launch of The Gallery’s new wood-fired Pizza Oven and some accompanying fizz helping things along. Although I was busy with my own studio, I managed to see a handful of surrounding venues and there was a real buzz around Cary and Bruton for this year’s Art Weeks. There were a few that I couldn’t get out to see, next time… I also enjoyed working as an area rep for Somerset Art Works this year, helping with some of the guide distribution, flyers and trying to encourage visitors to visit nearby venues. I will be taking part in this year’s Somerset Open Studios, based at Clerkenwell Fine Art in Castle Cary. It will be my first time taking part in this event so I will have a display of work in the front gallery as well as a set up of my studio, showing and talking about my working methods, influences and practices. There are several other artists nearby and others working in and around Bruton near Hauser and Wirth. The trail guide is due out in the next couple of weeks and you will be able to pick up a copy from Clerkenwell Fine Art as well as other venues and start planning your route! I have donated two pieces to Black Swan Arts 30th Anniversary 1000 Postcards exhibition. This is an incredible display of work donated by artists, celebrities and the community to support Black Swan Arts in its 30th Anniversary year, the funds being used to help refurbish the historic Round Tower. As it is a secret art sale, I cannot reveal the pieces here so why not go along and take a look; with all work available for £30 each you may get a bargain! It is a stunning show and an incredible endorsement of the arts and the work of all the staff, volunteers and supporters of the centre. I have two pieces, ‘Writhing Ash’ and ‘Boulders Break the Surface’ appearing in a group Summer Show at Clerkenwell Fine Art in Castle Cary. I’m especially honoured as the work is alongside that of Annie Ovenden, Graham Arnold, Sean Jefferson, James Lynch, Paul Branson and features magical and pastoral responses to rural Britain. I will be exhibiting with Bridport-based sculptor Brendon Murless at Duke’s Auctioneers Fine Art Showroom in Dorchester from 2-23 March. The preview will be Tuesday 1 March from 5.30- 7.30pm, all welcome. This is an opportunity to see our work curated together in this great new exhibition space near Brewery Square. “Our first gallery show of the year celebrates the talented artists who were the winners of our 2015 Annual Open Competition. As well as monetary awards, the successful artists won the chance to take part in a group exhibition at The Arts Centre and now their moment in the spotlight has arrived.So we are delighted to welcome back overall winner Jenny Graham, joint second winners Mark Beesley and Paul Newman, and 3D winner Brendon Murless. Joining them will be Jenny Barron, winner of the Visitors’ Choice award, and Highly Commended artists Linda Hampson and Lawrence Nash. 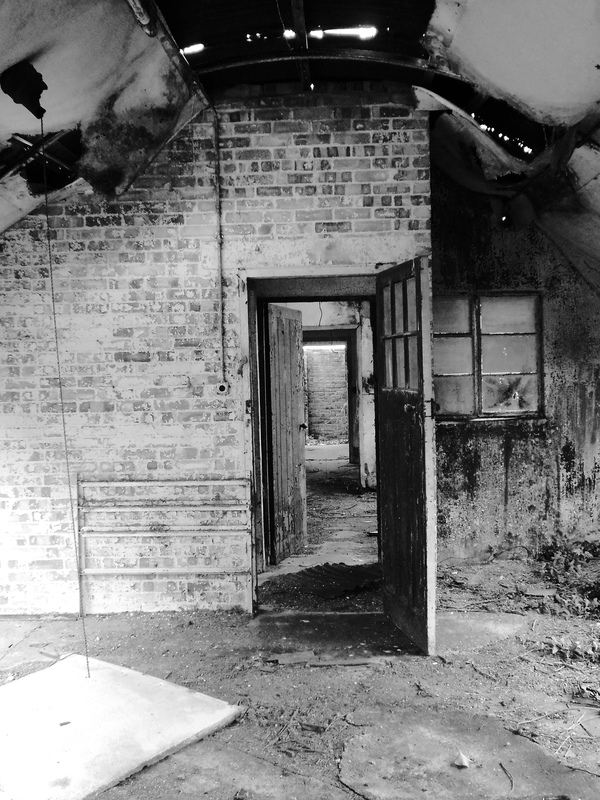 ‘Nissen Hut Remains’ has been selected for the Black Swan Open in Frome, which runs from Sat 24th Oct – Sat 21st Nov 2015. I’m especially pleased to be selected given the calibre of the judges. 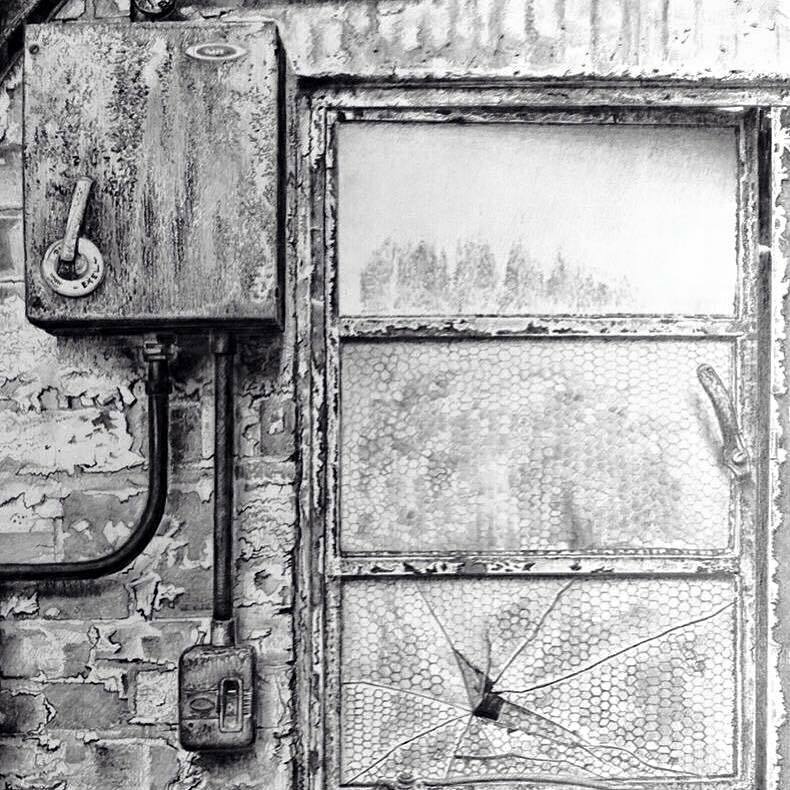 This drawing is a study of some of the remaining buildings at Tarrant Rushton Airfield in Dorset, which was used as a base for glider operations in World War II. 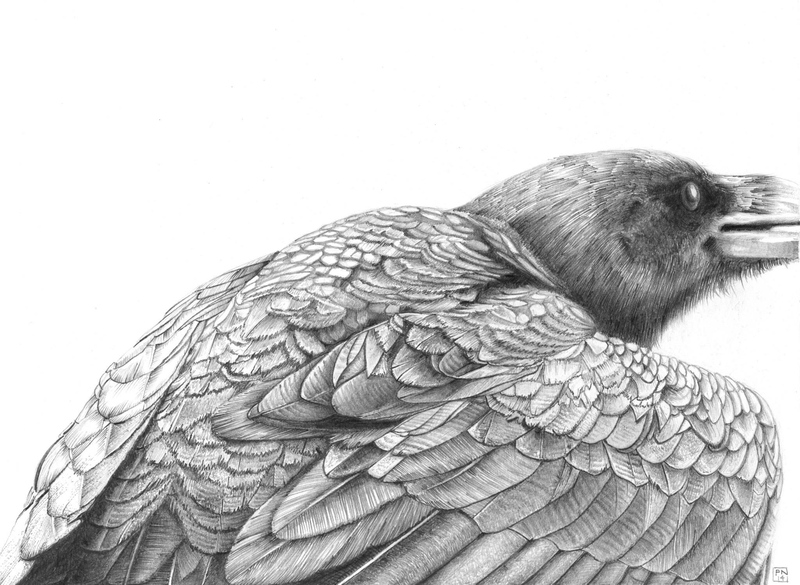 Very pleased to announce that ‘Turning at Haytor’ and ‘The Raven’s Turn’ have both been selected for exhibition with the Society of Graphic Fine Art in ‘Draw15’, at the Menier Gallery, Southwark, London this Autumn. 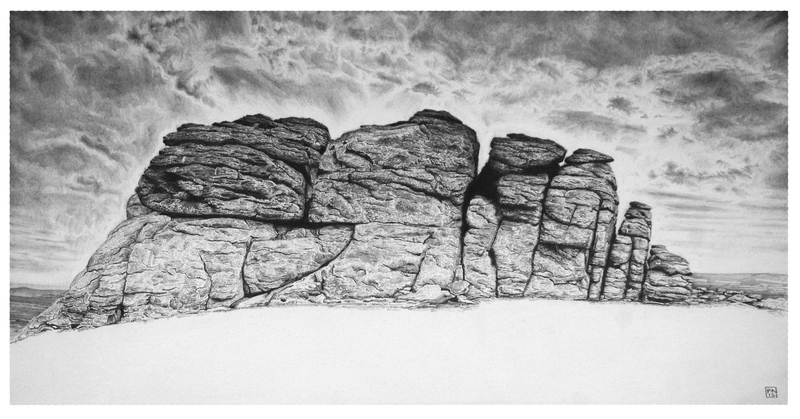 ‘Haytor Gasping’ and ‘Boulders Break the Surface’ will be exhibiting in the Plough Open Drawing Competition (celebrating the Big Draw) in Great Torrington, Devon this Autumn. 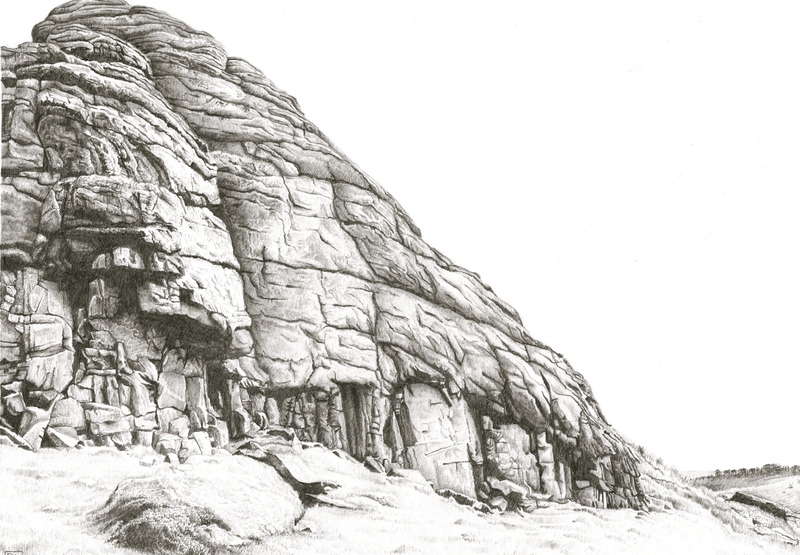 Both these pieces were responses to Dartmoor, now showing in their home county. ‘In the Margins’ is one of 50 pieces by South West artists selected for the Evolver Prize showing at the Thelma Hulbert Gallery in Honiton this summer.